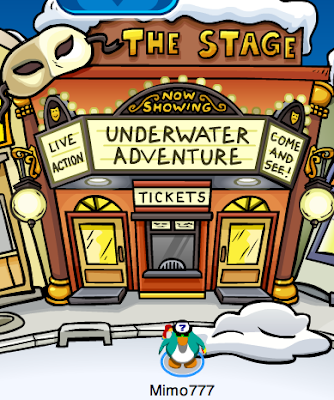 Club Penguin Cheats by Mimo777 Club Penguin Cheats by Mimo777: Club Penguin Underwater Adventure Cheats! Cool. I wonder why there's no new items in the Costume Trunk. 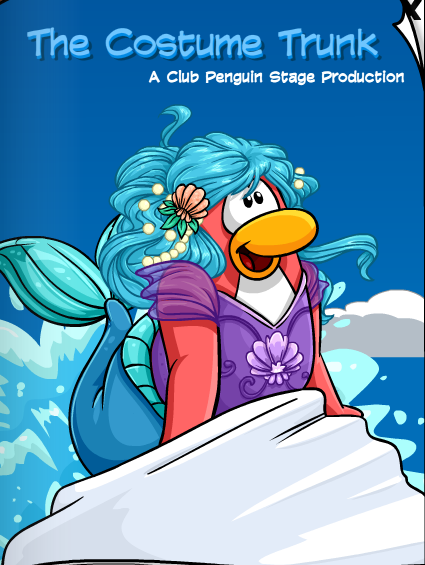 I guess Club Penguin is working hard on stuff and what not. Maybe there will be a stamp for acting in Club Penguin Plays. Awesome! Me had NO idea it was coming out! ~~~~~~~~~~~~~~~~~~~~~~~~~~~~~~~~~~~ya probly for the stamps because we will even design out own book! i want the stamps bad!!! okay, I know it has been around 1 or 2 months, but whatever happened to the caption contest? I don't even remember what it was about! 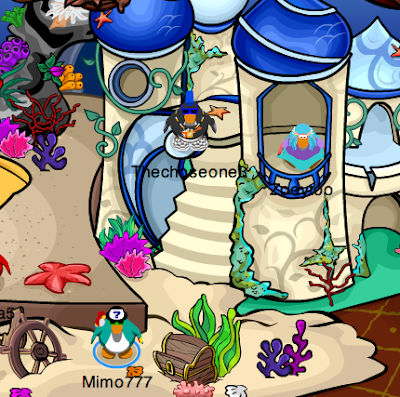 hmmmmm i wonder y they doo this i think club penguin cheats 101 group is right o well i <3 mimos cheats <3 is saposed to b a heart mimo u rock!!!!!!!! Yea me too. lol. Isn't that what the Club Penguin Times is for? But me didn't see it in the Club Penguin Times. These are some weird times we live in. Yea, but the last Penguin Style Catalog had a lot of cheats in it. Probably just busy and stuff with other things. Lol. Me don't look very closely. It was a day early! CP updates 1 day early! Everyone loves it, so they continue to do it! Also, don't put (CPG mod) unless you are modding like me! Thanks! They're probably just caught up with stamps! Not too many !!! ! Lol! Yeah, Mimo rocks! They ought to bring those back soon. They bring back almost every play so I would assume they will bring those back too. Lets wait it out with cake and ice cream! Me too! I dunt know if I can wait much longer! *Counts to self* It's too long! I dunt know about you but im going to wait it out by watching Spongebob! Yea. They seem to be releasing things two days early now and if they're going to release stuff that should come out Friday on Wednesday, I guess they're going to have to release the News Paper Wednesday too. Me too. I cant wait! Wow, your expressing hard and loud. lol. You probably shouldn't use that word though cause some penguins consider it a bad one. Just so you know. I think it was about a pool. Some water. Something being upside down. Oh yea, and empty chat bubbles! I wonder why those were there. Im sure it will come back to me when Mimo posts the winners. Yea, lol. :) <--- This is a smile! And that was an arrow. ;) <--- Thats a wink. :D <--- Thats a big smile. And one of my favorites, <(") <--- A penguin! Cool idea, I like that one! Maybe they can make puffle costumes! They always update early, and that rocks! The background is pretty colorful! That's good, we all do, but please don't say "freaking" because young kids might be reading these. Thanks! Maybe he got like 3 million or something. I hope he posts them soon! Aww, no cheats...I love to cheat, and that's why I come here...XD. It's not techicnally cheating...or is it? Hey Mimo how do post pictures from playing Club Penguin? yeh i was wondering that too. im sure mimo will post it soon. hope you do well! But I know something starting right now. She's also doing Princess Ariel's famous pose. mimo thanks for posting us on the comments bord this is the first time wee got posted ur cheats r AWESOME thx for them sooooooooooooo much!!!!! !